One short voice mail message from Haodi to Children’s Hope late Monday, turned the images of a poor burned Chinese child into a beautiful little girl. She called because the next morning, Haodi and her mother flew back home to China after two months in Boston. Thank you to Shriners burn hospital, for giving Haodi incredible care yet again. This was the third round of surgery at Shriners since the hot noodle water poured down her face in 2007. Also, a big thank you to her host family in Boston for the loving care of Haodi and her mother for the entire two months. If you doubt that a severely burned person can reach for the stars, watch this You Tube of Dancing with the Stars. Hey, Haodi, this could someday be you up on stage. As an approved CFC Charity, Children’s Hope International Foundation will be one of the charitable organizations available for automatic monthly payroll deductions for federal employees. The Children’s Hope CFC code will remain 10856. 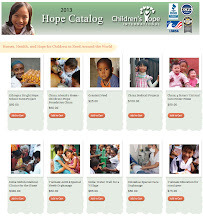 During the CFC sign-up campaign this fall, federal employees can list 10856 to give to the Children’s Hope projects providing hope for orphans and poor children through, education, nutrition, and medical care; impacting the lives of thousands in China, Ethiopia, Russia, Colombia, Vietnam and India. the Addis Ababa Finance and Economic Development Bureau. We had to wait several months, but finally Children’s Hope received the government approval to go ahead with the drilling of the first well for the Korah community within the Kolfe Keranyo sub-city of Addis Ababa, Ethiopia. Ethiopians who are infected with leprosy have been immigrating to Korah for decades in order to have close access to the hospital that treats leprosy patients. Most residents virtually have nothing and no way of providing for themselves. Rummaging around in the trash at the Korah dump is the only option to survive for many. Many children in Korah have benefited from the fresh water, vegetables and eggs our donors provided through the Bright Hope School sustainable farm project. Children’s Hope International Foundation plans to bore the first of five wells for the Korah community in Ethiopia. The rocky geology requires boring a deep, 120 meter deep well, through extremely hard material. 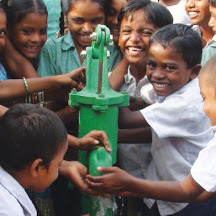 The community cannot afford this great expense ($33,000/well) yet safe water is badly needed. Over 250 children received much needed school supplies at special ceremonies in Vinh Long, Vietnam. Thuy Nguyen Thon Thi Diem, Children’s Hope- Vietnam, distributed 5000 notebooks and nearly 2000 pens. Many of these children are able to continue attending school because of monthly assistance through Children’s Hope- Vietnam education project which provides help with their tuition, uniforms and books.